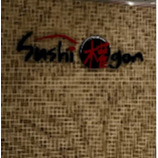 Sushi Gon joined our Mission to help provide access to “Clean Water for All by 2030”. This Mission was initiated by the United Nations. A big thank you to Sushi Gon’s team and customers for joining this extremely important mission on 07 May 2018. "Nice range of sushi made on-premises - I eat lunch from here quite often. Prices are reasonable - they just increased a bit when the shop moved into a new store just behind the kiosk they previously occupied in the middle of the food court."